Is it just me or was this past Valentine's Day a bigger deal than usual? Stores began carrying red and pink candy the day after New Years and my inbox was flooded with Love Day sales and promos. Call me the VDay grinch, but by the time February 14th rolled around I couldn't wait for it to be over. My husband and I were never big on celebrating the day so it was just another day for us (we had pizza for dinner). 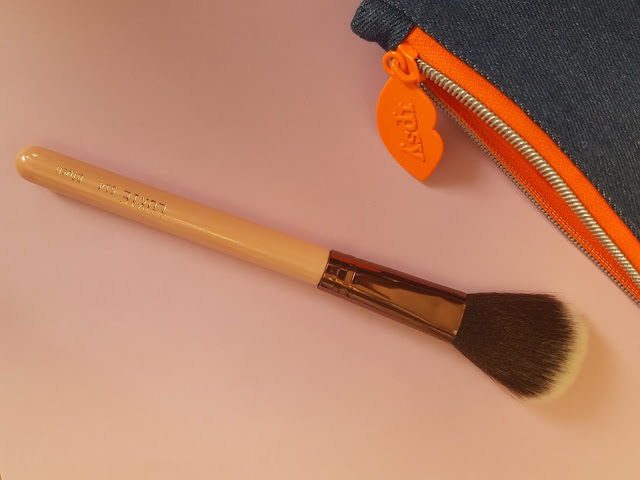 When this month's "Much Love" glam bag arrived, I half expected to find pink hearts and frilly lace (I don't pay attention to the makeup bag reveals so I had no idea what to expect). 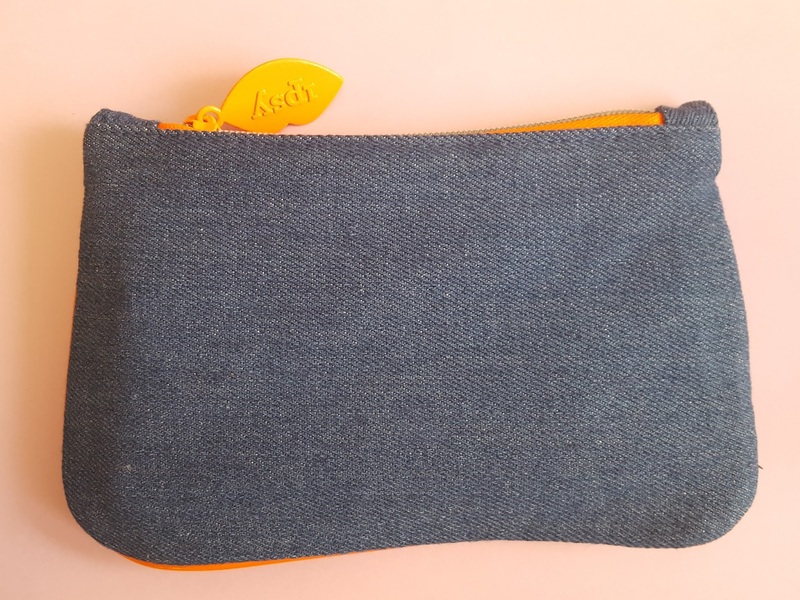 To my relief, it was a simple denim bag. Yesss! A bag I won't mind keeping around the house. 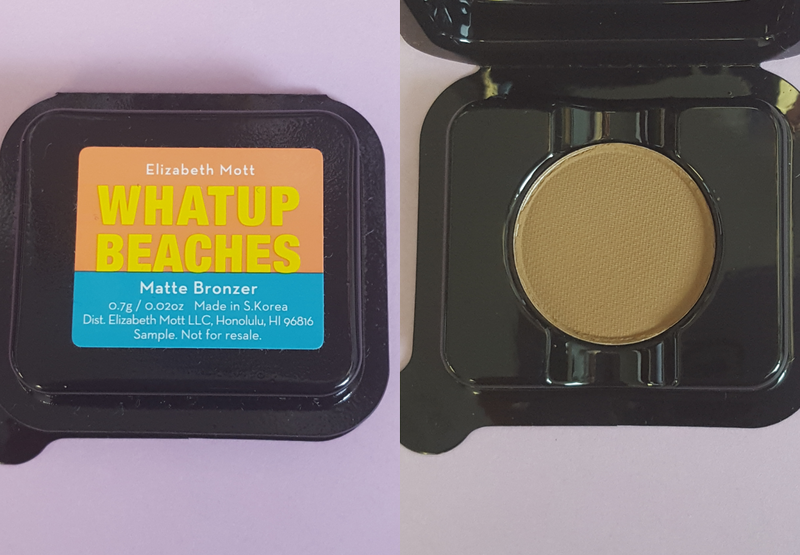 Elizabeth Mott Whatup Beaches Matte Bronzer - It seems like I'm forever on the hunt for the perfect bronzer that's not so light that it won't show up but not too orange-y, either. This brand is based here in Hawaii so I was hoping with a name like Whatup Beaches it'd be a shade that actually shows up on slightly tanned skin, as is the case with many women in the islands. But nope. The forearm swatch below is 5 swipes, and I'm not even that tanned. 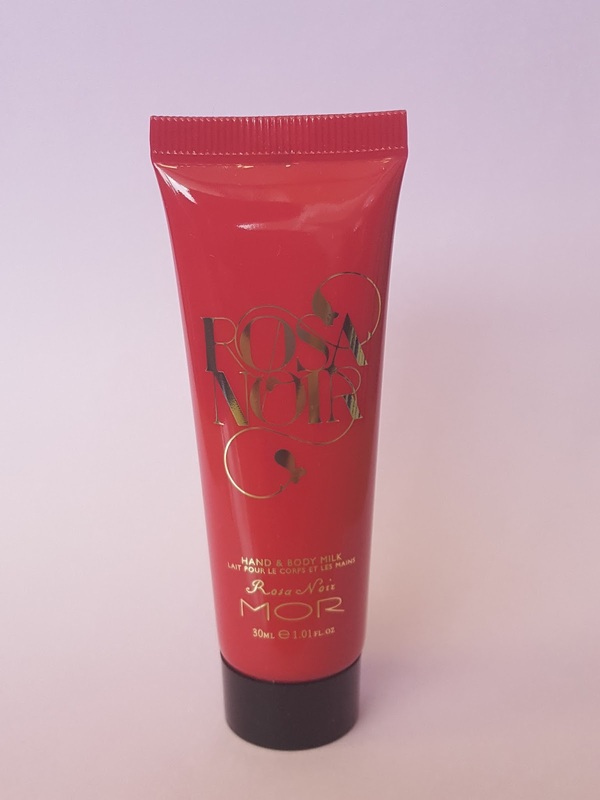 MOR Rosa Noir Hand & Body Milk (30ml, $2) - This lotion is for the floral lovers: wild rose, carnation, and lily of the valley create a heady and slightly overpowering (to me) fragrance. I haven't even removed the seal and my nose is already starting to itch. 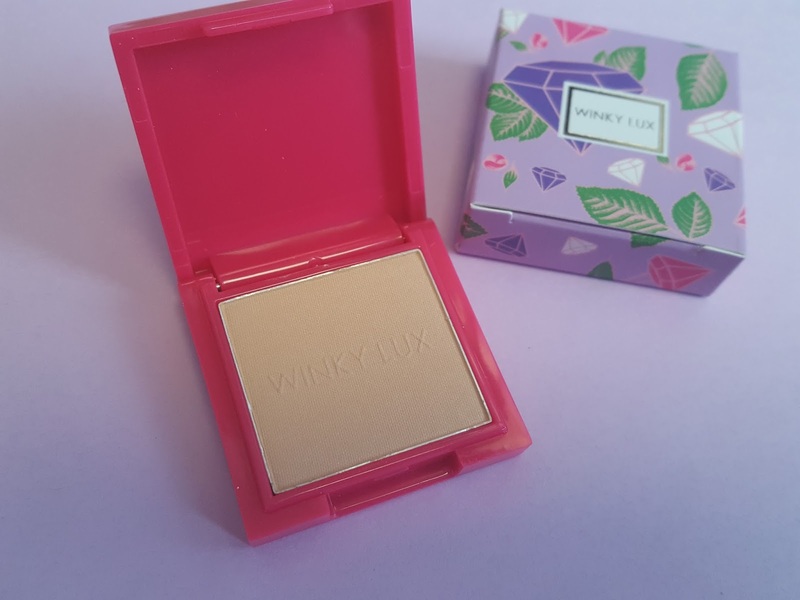 But if you're a huge flower fan, this cream will keep your skin quenched with shea butter and macadamia and almond oils without all the greasiness. 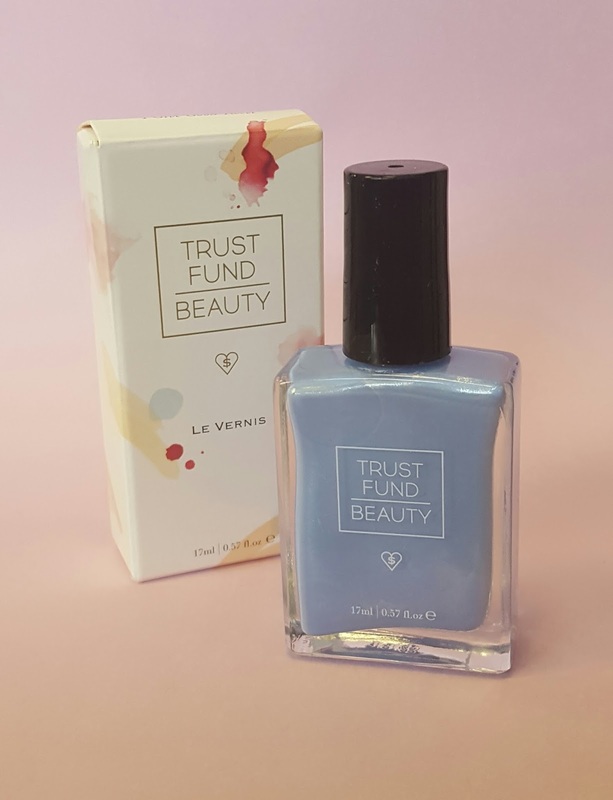 Trust Fund Beauty Nail Polish in I Give Good Tweet ($15) - First of all, that name. Trust Fund has the best nail polish names - slightly naughty but entirely funny. 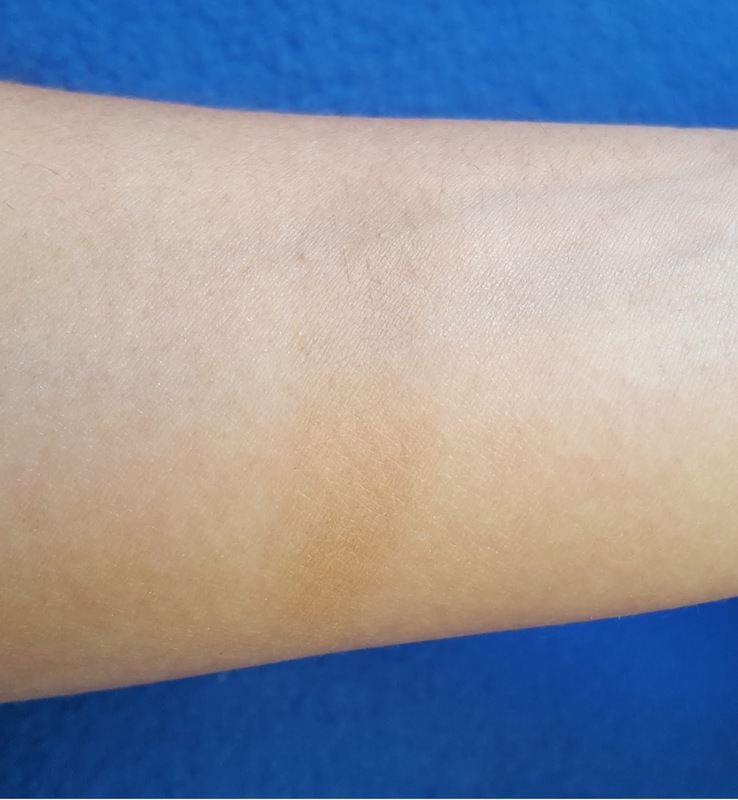 Secondly, this color. This periwinkle blue is probably my favorite color in the whole world. And that goes for anything: clothes, pens, wallets, paper, you name it. If it's this color I'll probably want it. And that's why I currently have about 8 nail polish bottles of this shade. I just can't bring myself to give them away. This is no different. Tweet, you're going straight in my nail polish stash right now. 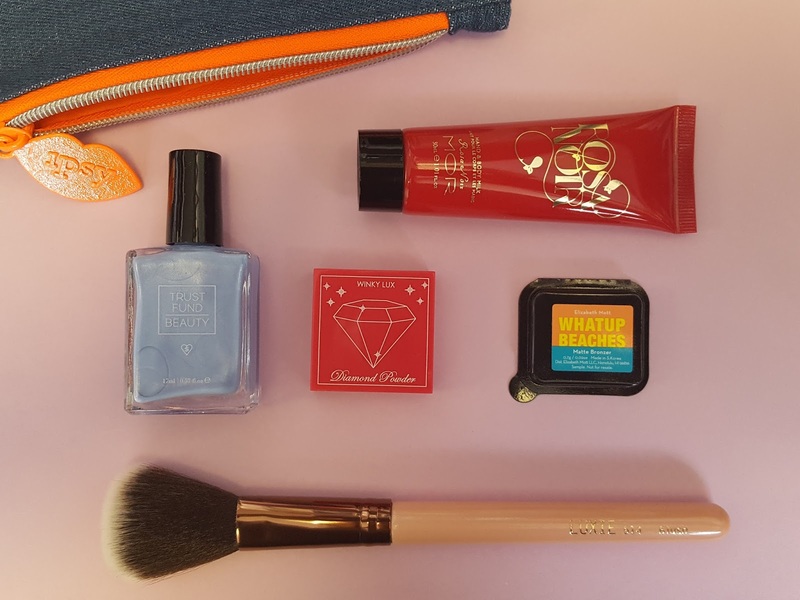 Verdict: This month's Ipsy was almost as good as January's bag. 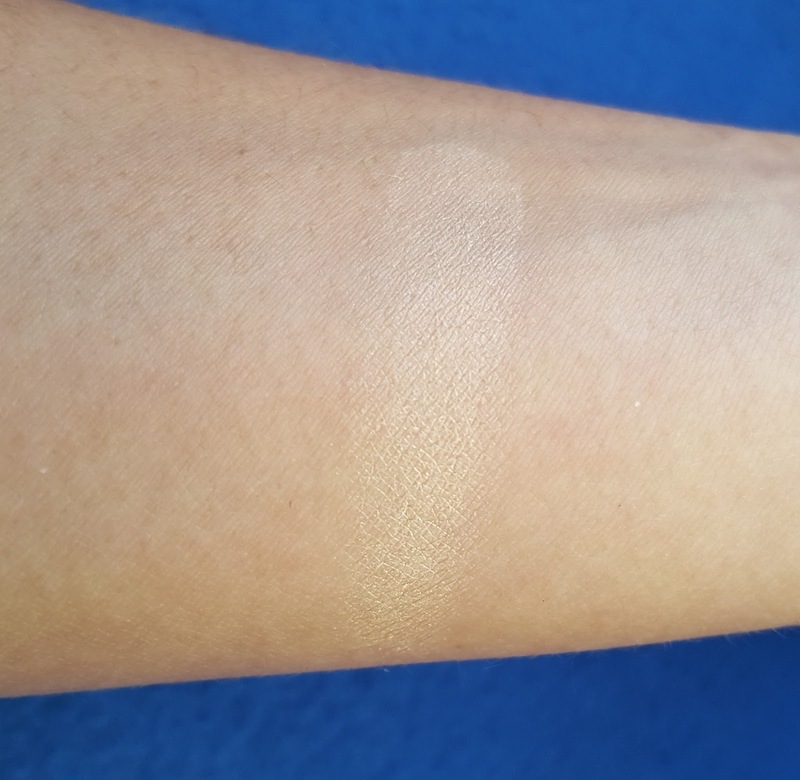 I'm not a fan of the hand cream scent and a little sad about how subtle the bronzer is, though I'll still at least use the bronzer. 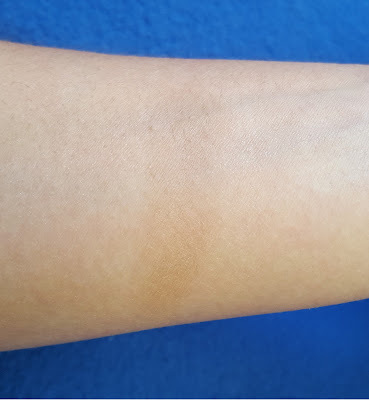 But I'm in love with the shade of nail polish I received which kind of overshadows this month's shortcomings. Time to go make my nails all pretty!